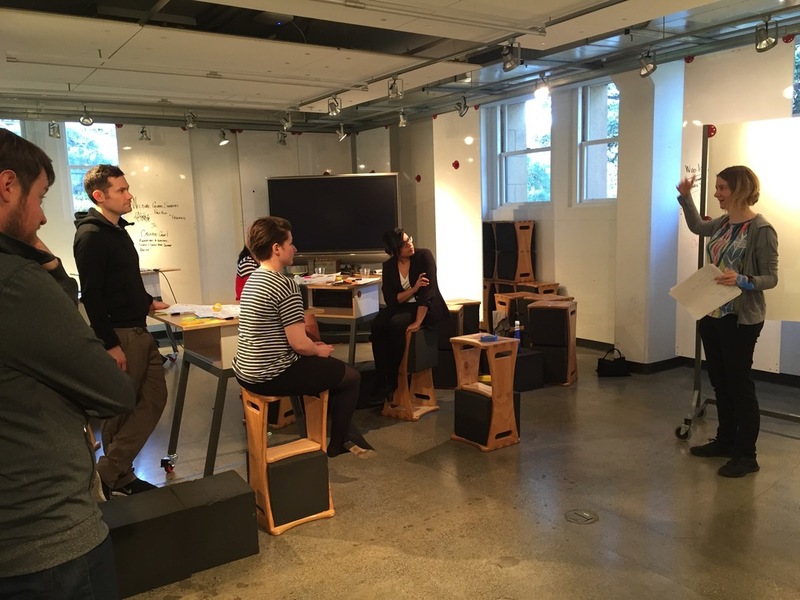 An application of human-centered design to surface and augment creative process. The d.school is world-famous for its ability to help people realize and more fully access their innate creativity. But what about people who already identify as creative and possess a strong creative confidence? "Creative Code" was developed as a means for those who already identify as creative (or who have been identified by others as such) to apply the human-centered design process as taught at the d.school to help build their own creative capacity. The goal of the workshop is to surface and articulate the creative practice of highly-accomplished professionals who have dedicated themselves to helping others. I have since learned, in running the workshop, that it works just as well for those who identify as creative as for those who do not. The workshop's secret is relatively simple: give people ample time to speak with one another about what fuels their past work and their aspirations. "Creative Code" brings participants through the entirety of the human-centered design process, from empathy to prototyping and testing, giving individuals an opportunity to design a means by which their partner could augment or improve their creative practice. One of the d.school's core goals is to foster "creative confidence," which is outlined best in Tom & David Kelley's book by that name. The d.school uses experiential learning techniques to help individuals discover and grow their natural creative ability. The more individuals across sectors, specialties and skills are able to think creativity (both individually and in teams), the greater the opportunity to discover solutions to problems for which there is no precedent. Solutions to many of the world's greatest challenges rest on the ability to think well beyond "the box". Creative Code was developed as a means of focusing on what, precisely makes up one's creative practice, and how that practice can be augmented and built upon -- essentially taking participants' creative capacity and confidence to build that capacity within others. The goal, when the workshop ends, is for every participant to see their creativity and their future work and life in a new and, hopefully, brighter and warmer light. The "Creative Code" workshop runs a little under three hours and can be modified to fit an organization's needs. I am currently focused on media organizations and bringing the workshop to highly accomplished creative professionals. However, I am always eager to hear from anyone who may be interested in bringing this workshop to their organization as I continue to develop it in our collaborative work with the Stanford d.school and Knight Foundation. Please fill out the form below and I look forward to being in touch. Yes! I am interested in bringing "Creative Code" to my organization.